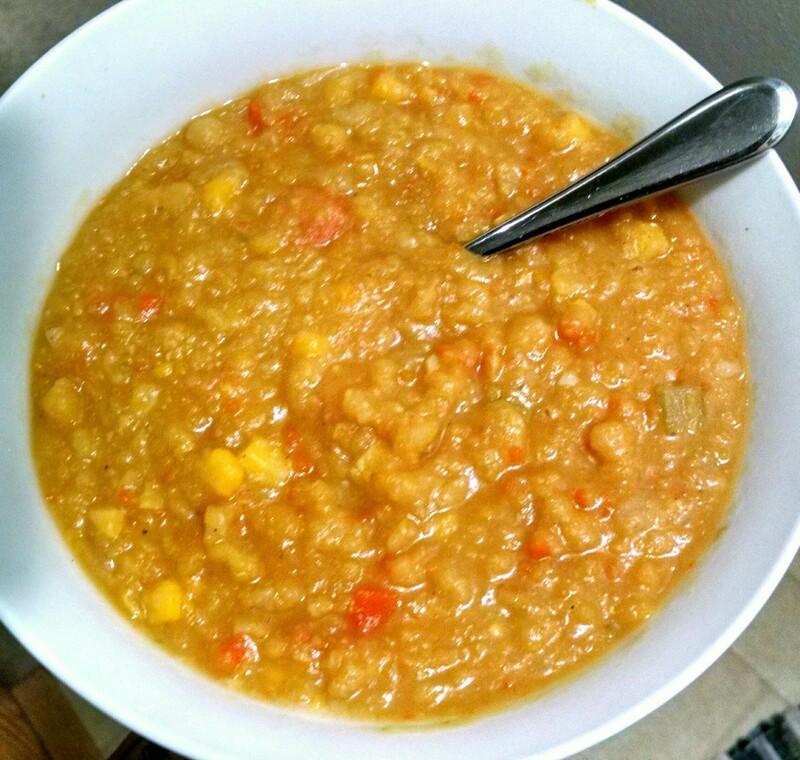 I have posted a split pea soup recipe before but it used bacon and butter so I wanted to tweak it to be even more delicious while following a plant-based approach. The result is DELICIOUS!! I use my immersion blender to help give the soup a “creamy” texture and the flavors are so simple but so, so tasty…especially with a big chunk of crusty bread to dip into it! Did I mention it is SUPER EASY to make? Well, it is! Simple, delicious, versatile, AND healthy…come on. Make this ASAP!! Rinse your split peas thoroughly and set aside for now. In a large stock pot, add water or broth, split peas, seasonings, bouillons (if using water), and garlic. Bring to a boil, reduce heat and cook on medium for 30 minutes or until peas are soft and start to fall apart. Add in all the veggies including the corn and cook for another 5-10 minutes. I use my immersion blender to blend the soup about 50%. I like some chunks left but like the texture of the soup better slightly blended…makes it feel “creamier”. You can also blend the soup in batches in a standard blender. (Be sure you dont fill it too much, and just loosely hold the lid on with a towel over it to avoid a messy disaster!) BUT, you can also simply skip the blending step if you like. Stores in the fridge for a good solid week. And freeze great too so I like to double the recipe and freeze half!! Posted on October 6, 2015 January 6, 2017 by OregonKitchenPosted in VeganTagged Dinner ideas, healthy, Healthy dinners, quick meals, Soup, vegan, vegetarian.